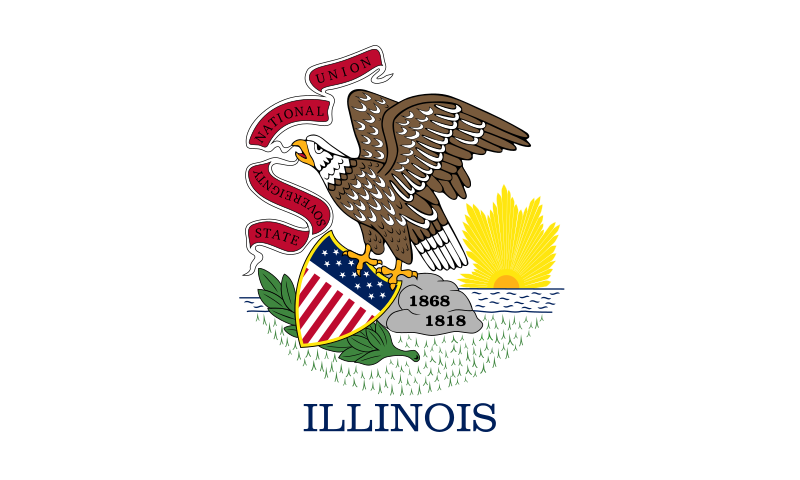 English: Flag of Illinois, from the xrmap flag collection 2.7. 27 janvier 2017 à 02:17 1 000 × 600 (154 Kio) Zscout370 Page 4 of https://www.cyberdriveillinois.com/publications/handbook/1516handbook.pdf (6 on a pdf reader) for the specifications. I have not altered the colors yet because I am not sure what element is right or not. Ce document provient de « https://fr.wikipedia.org/wiki/Fichier:Flag_of_Illinois.svg ».